We guide the Gold Medal stretches of the South Platte River through Deckers & Cheesman Canyon, the Dream Stream & the Arkansas River below Pueblo Reservoir. Did you know that the South Platte running right through our hometown offers quality smallmouth, walleye, carp and even TROUT?!?! 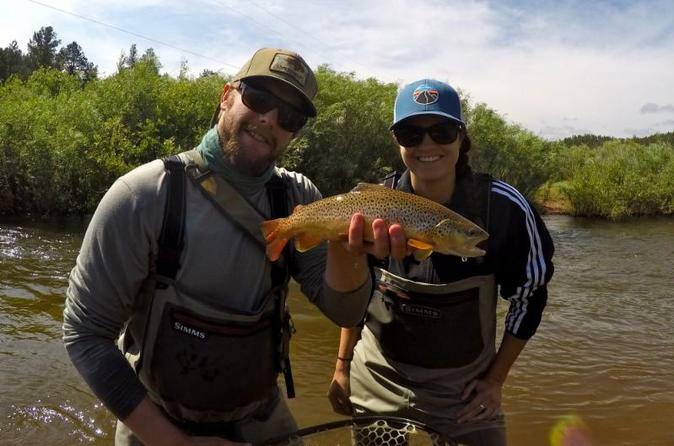 This is a guided fly fishing trip up and down Colorado’s Front Range through our South Denver fly shop located in Parker, CO. Our Denver fly fishing guides have been the locals choice for guided fly fishing in Colorado for years! We guide the Gold Medal stretches of the South Platte River through Deckers & Cheesman Canyon, the Dream Stream & the Arkansas River below Pueblo Reservoir. We also offer trips on Boxwood Gulch & Long Meadow Ranch which is considered by many as the best private water fishery in Colorado. Another unique trip exclusive to Minturn Anglers is our Urban South Platte trip. Did you know that the South Platte running right through our hometown offers quality smallmouth, walleye, carp and even TROUT?!?! Yes, we all firmly believe that the hardest fighting trout in Colorado live right in Denver!